EQUIPMENT: Pedulla 5string, Kohler upright, SWR speakers, ADA preamps, Trace Elliot Preamp, QSC power amp, Digitech delay. 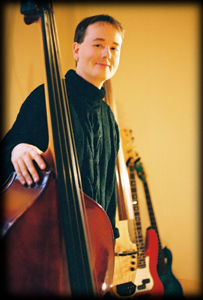 PERSSONAL STATEMENT: I was a recent recipient of the Milt Hinton International Bass Scholarship and have been playing upright and electric bass for eight years. I have performed with Gil Scott Heron, Judy Collins and the Knoxville Pops, Donald Brown, James Williams and others. Recently I arrived back in Memphis, TN from London, England where I performed with Charlie Wood for six weeks.